Visited AK Lounge for a cut & color and Jordyn did an amazing job! She should be confident in her work, it met every expectation that I had. I will definitely return while living in SATX! I went to AK Salon for the first time a few weeks ago and was scheduled with Jordyn for highlights. She took time to listen to what I wanted, asked relevant questions, made great recommendations, and did an amazing job. She’s friendly, kind, loves what she does, and is customer focused. And, she works evening hours which is awesome for those of us who work during the week and spend Saturdays with kids and grandkids. The salon was clean and the environment was upbeat and a nice balance of professionalism and warmth. Great salon. And, Jordyn is awesome! I had my hair done by Jordyn, and she did such a great job. I’ve never loved a hairstylist more! She answered all my questions so patiently, and knew exactly what I wanted even when I didn’t. Jordyn and the salon were so perfect I can’t wait to go again! Had JORDYN do a cut on my hair a few weeks ago… amazing!!! 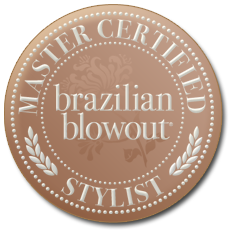 Hope to go back soon for a Brazilian Blowout!! Sweet girl and very talented!!! Kenny Rocks did an absolutely fabulous job on brows for my sister and me. She has breast cancer and I wanted to take her to get microblading done prior to her chemo treatments. I would have never believed how natural they could look. Kenny is a true artist and also has a very kind soul! Had my hair done by Jordyn. She is fabulous!!!!!!! Made my hair look beautiful. Jordyn is a gifted hair dresser. Jordyn Baker is by far the BEST!! I went in for a Brazilian Blowout yesterday, and I absolutely LOVE IT!! This was the first time getting anything done to my hair, and Jordyn made me feel so comfortable and put all my worries at ease. Very personable and never felt rushed and she was very patient with all my questions. I would definetely recommend this place to anyone who is looking for a high end salon. I will definetly be going back. Very happy with my experience! Denise did an amazing job on my hair. From start to finish, she was professional and caring. She took her time and paid close attention to each detail. I love my hair and definitely will be returning. Thank you so much! AK Lounge is a wonderful place to have your hair fixed and permanent makeup done. Ashley n Kenny are awesome and extremely talented. I would recommend them highly!! I could never express my gratitude to AK Lounge, in particular KatieRose. I came in with very unhappy teenager with a bad dye job. I left with daughter whose hair had never looked better. We will never go anywhere else! I was also impressed by the owners Ashley and Kenny were great to meet and the rest of the staff too. This salon felt like a family we had just been welcomed in to. Katie Rose Radford is remarkable! She impressed me during our consultation with her friendly professionalism, asking questions and listening to find out what I wanted. I am not a professional stylist so I don’t have the vocabulary to describe what I want, but Katie Rose made it happen–and beautifully! She answered my questions, showed me how to achieve the look at home and I have never been happier with my hair. She recommended future treatments that I might want to try and I am excited about them. Such a relief to find a qualified, personable professional I can trust! Katie Rose is a true professional. Her craftsmanship and attention to detail are impeccable. She gives very good advice because she has learned how much time I am able to spend on the way I look and helps style me accordingly! Katie Rose is very knowledgeable about the products she uses and a creative genius at transforming trends into wearable looks. In Katie Rose’s hands, I am not afraid to take risks and try something avant gard! I met Ashley over three years ago. Ashley is the best! I have had extensions, cuts and coloring, and she has always exceeded my expectations! Ashley is a truly talented expert, and also a person I am proud to call my friend. I always know that when I go to my appointments that I will leave happy and totally elated with whatever I have done to my hair. Ashley has truly transformed my hair and you can always count on her to give you the best advice and teach you all you need to know about how to care for your new style! Ashley is super friendly and very talented! I got a Brazilian blowout (life changing!!) and color done. I could not have had a better experience! Even though it was a long process, it was totally worth it. My hair came out so smooth and healthy, I will definitely be back! Came in with my mom to get our eyebrows done by Kenny in December. We couldn’t have found a better person to do them! He numbs you to make you as comfortable as possible, and the best part is he draws lines on and lets you check everything before he starts. He takes his time and does a GREAT job. Him and his wife are also extremely nice so the entire experience was excellent. Kenny is always open to you texting him or calling him if you have any worries during the healing process or after and it instills peace of mind that you’re in good hands. We’ll be back for our touch ups! Came in early December looking for something to manage my dreadlock looking hair. Ashley and Brittany both recommended the Brazilian blowout and i was nervous due to a prior failing experience with one, but both ladies spoke of their knowledge and masterful technique with the treatment so I decided to try it. Brittany and I were in the salon from about 10-2 on a Monday. I loved the results! My hair is so smooth shiny silky and straight! Thank you Brittany! Went to Kayla after getting my hair butchered at another salon and she did an AMAZING job! She turned my hair from looking like a mess into absolute perfection! Kayla really knows what she’s doing and takes her time into making sure that you leave there loving your hair! If you’re looking to get your hair done, go to Kayla. She’s the only stylist that I trust! I have been at AK Lounge two times and really pleased with the outcome. First time I had a Brazilian blowout. And the the second time I had color and Brazilian blowout. Both of my appointments have been with Brittany and she is the best! After years of searching, I’ve found my salon and stylist! Kayla from the AK Lounge has brought the fire twice now! My cut (an angled bob) is on point, and the vibrant jade ombre to neon green to mint is delicious. I know now from experience that the cut is going to grow out beautifully (just like it did last time). I’m even excited to see the fade! Just as importantly (to me, at least), Kayla’s a really warm, funny, person. Seriously makes the time in the chair fly by! The salon itself is clean and stylish, with aromatherapy pumped through the vents, and tasteful prints of hair models styled at the AK Lounge. There’s even a hanging box garden above the shampoo station to give you something pretty to look at while you’re reclined. Ashley, the A in the AK, shared her expertise and anecdotes. Super sweet, funny, and stylish lady! I love my hair and always enjoy my time at the AK Lounge. You should definitely check it out, y’all! Ask for Kayla! I am so happy to have found AK Lounge and especially Brittany! I usually bounce around from salon to salon trying to find what I want but I’ve finally found my place. I have been there for hair cut/style/color and every time is fantastic! Brittany is always wonderful at working with my busy schedule and she is beyond talented. I think this is the first time I have shown a photo to a stylist of a cut & color and actually got what I wanted with beautiful results. I had questions on how to use styling tools for my hair and she went above and beyond when she invited me back to the salon to give me a tutorial on how to style my hair! Absolutely amazing! My husband has gotten his haircut from Kayla and also boasts it’s the best haircut he’s gotten! We both moved here from NYC and are ecstatic to have found a salon of such high quality in our new home city. They were names as a Reader’s Winner for Best Salon in San Antonio Magazine and there is no wonder why!! Ashley has been cutting and coloring my hair for a couple of years now. Without fail I will have people asking me where I get my hair done. It doesn’t matter if I go in with a specific style in mind or having no idea what I want, it has always turned out better then I even hoped it would. Whether you are looking for a beautiful style and color or fun and different she is fantastic with everything hair. I made an appointment at AK Lounge for a cut and highlights done by Ashley. My hair came out AWESOME!! Better than could imagine! She really makes you feel good about yourself and is also very affordable. Also, Kenny does permanent cosmetics. I saw his work and it was so good I could not believe it. Can’t wait to get my lips done. Highly recommend them both! I love my hair, the cut , color and feathers. Thank you Ashley – for all your time and talents. When I get my hair done, I like to go somewhere that the stylist makes recommendations. From color, to cut, to style Ashley is the best hair dresser I have ever been to. She can do the most fashionable styles to the basic cut and color. If you just moved into town or if you are tired of your stylist, try AK Lounge. I promise you won’t go anywhere else. Ashley is an amazing colorist!! She is very dedicated to her clients and listening to what they want as well as giving her professional opinions at the same time! The atmosphere is very laid back and friendly, I believe I have finally found my hairstylist here in San Antonio! I would like to give a great big THANK YOU to Kenny, for the AWESOME job done to my lips. They look great. I was scared at first to do it, but all is well that ends well. Also A THANK YOU to Ashley, for the great job on my nails with the Shellac for those who have never tried it I highly recommend it. Nails stay strong and shiny. Also my hair color still kickin’ and looks swell….. Thank You to the both of you. My mom wants to go in for her eyeliner permanent cosmetics and my sis want her lips done. Appointments coming soon! Ashley was awesome with my 6 year old daughter and really took the time to talk to her, explain what she was doing and make her feel at ease. She absolutely loves the feathers and the sparkle. Thanks! The service was great and the outcome of my experience was greatly worth it. My 18 inch extensions looks amazing, added layers so it would blend with the length of my real hair which is barely past my shoulders, no one knew I had extensions it look like my natural hair and I loved all the different styles I could do with it as it was my natural hair. Definitely continuing to be a regular customer for coloring and extensions, Ashley did an amazing job and made my first experience one I will I always love. Kenny did just what I wanted on my eyeliner, a thin straight line. He was very thoughtful and caring about me being Ok. He took his time to make sure it was perfect. I didn’t have any problems afterwards either, I just love it. Its made my “Get Ready Time” cut in half. If your thinking of having it done, Kenny is the best…Thanks Kenny I’ll be back for more..